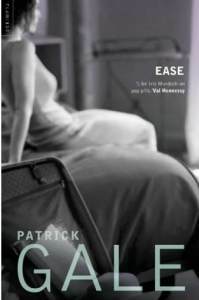 A novel about downsizing from a life of ease and upgrading to one of sleaze. Many people would kill to be Domina Tey. Shes one of lifes successes: an award-winning playwright living in a beautiful house with an equally celebrated writer. A lucky woman. She knows it. And she appreciates it. But she isnt happy. Life is too easy. Its becoming stultifying, negating her creative force. She decides upon a spell of sleazy living to give both her work and her soul a spring-clean  and elopes with her typewriter in search of just a hint of degradation. She finds it in Bayswater. Safe in bedsit land, she immediately sets about getting to know her neighbour, a candidate for the priesthood half her age.